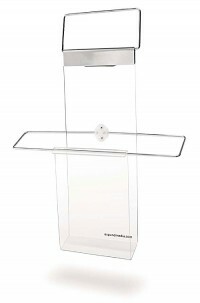 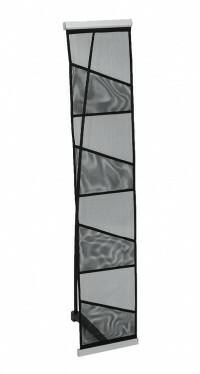 Our folding literature racks and brochure stands give you an attractive and convenient place to display sales literature, flyers, product brochures, and other important information for potential customers. 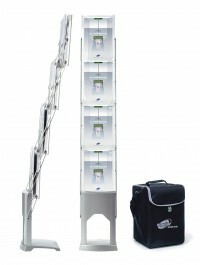 We offer several styles, but they are all easy to use, collapse into a compact travel bag or case for easy transport, and most styles allow you leave your literature in the stand while folded. 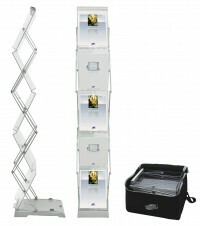 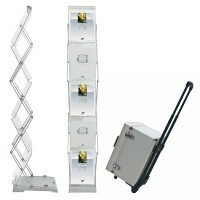 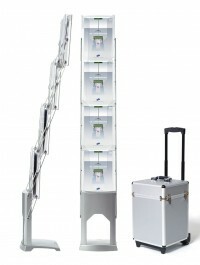 This makes setup quick and easy, as all you have to do is expand the stand and lock it, and it's ready to present your information in a professional manner.